According to the Small Business Association (SBA), 30% of new businesses fail during the first two years of their launch; 50% fail during the first five years, and 66% of new businesses fail during the first 10 years. Most successful business owners, including Jon Ferrara (co-founder of two successful global technology companies), ensure their sales team is set up for success from the very start. Jon developed a social sales business plan outlining the companies’ route to success — both in the near term and for years to come. Nimble unifies your emails, contacts, calendars into one powerful relationship manager. Start your 14-day trial now. According to Ferrara, a comprehensive sales business plan spells out your long-term and short-term goals, the methodology you’ll use to evaluate and optimize your approach, the pitfalls you anticipate could come up along the way, and how you plan to address them. In this article, we will discuss what a successful sales business plan entails, its goals and its structure. We will also highlight a successful example of business plans for sales, the plan which launched Goldmine and now Nimble into the CRM stratosphere. What is a Sales Business Plan? At its core, a business plan is the infrastructure shaped by your overall goals for the future of your business, fleshed out by the strategies implemented to make those goals a reality. The Nimble team subscribes to the Entrepreneurial Operating System, a system of business principles and set of simple, practical, real-world tools to help entrepreneurs get what they want from their businesses. Complementary to your overall business plan, a sales business plan sample focuses squarely on (surprise!) sales and marketing. It also outlines what your target market is as well as your approach to market or sell your products to your prospective buyers. It’s crucial to outline all of your immediate and long-term goals from the get-go and measure them weekly, monthly, quarterly, and annually to ensure you’re on track to achieving your goals, and can quickly identify issues that may be standing in your way. You can also use project management apps such as Traction Tools (which is part of the EOS System) or Teamwork, (which helps you manage multiple projects on a more granular level) to hold the sales team accountable for incremental steps that will help you achieve your goals as the quarters turn into fiscal years. It’s far too easy to get swept up in the day to day of starting a business and lose sight of why you started your business in the first place. To avoid getting bogged down by the small details, start by identifying your ten-year goals, your five-year goals, your three-year goals, and your one-year goal. The easiest way to do this is to start at the end, and work backward from there; where do you want to be, and how do you get there? Treat a sales business plan like a set-by-step outline of how you aim to achieve your long-term and interim goals. The first step is to identify exactly what you want to achieve and define your KPIs (key performance indicators): Are you trying to drive a certain level of revenue? 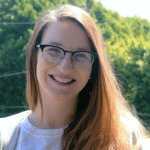 Achieve a specific percentage of conversions? Drive leads? Acquire new clients? 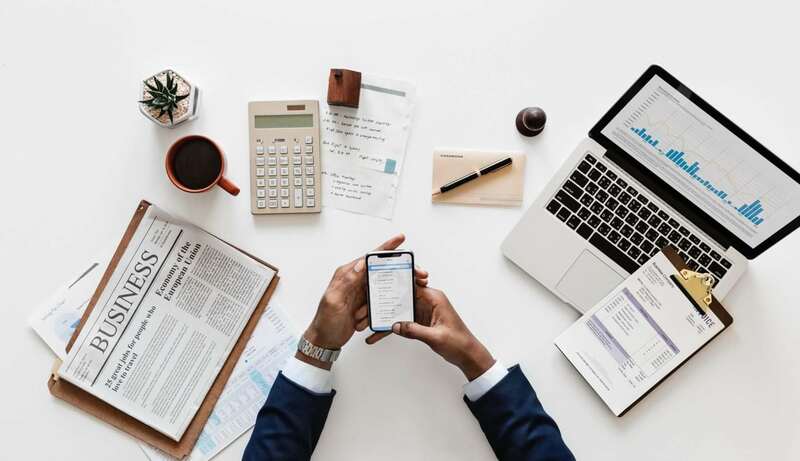 The best business plan examples for sales aim to keep your ambitions organized while turning even the loftiest goals into a tangible reality. Having a written roadmap of your road to success keeps you grounded and focused; plus, nothing feels better than being able to cross achievements off your list and physically seeing the progress you’ve made on a tactical level. It’s always beneficial to consider the worst-case scenarios of starting your new business, as it will enable you to troubleshoot problems that haven’t even risen yet. Working this strategy into your business plan template for sales will also help you pinpoint your areas of growth and optimize your strengths. Maybe you’ll realize that you’re short staffed, and need more internal support to execute all of your goals. Perhaps your relationship management system is inadequate and holding you back. Whatever the forecasted setbacks may be, it helps to face them head-on in order to effectively scale your business. Write down what you consider potential threats to your company’s success and review them with your team in order to brainstorm the best path forward. A thought-out marketing strategy accompanied by a thorough description of your target market. Know who you are selling to, and how you are going to sell to them. Gabriel Weinberg, founder, and CEO of the multi-billion dollar internet privacy company, DuckDuckGo, outlines the 19 marketing channels you can use to build traction, and how to determine which strategies to focus on at any one time in his book, Traction. A breakdown of your sales strategy and the tactics you will use to execute it. How will you initiate the sales conversation with prospective clients, or define your sales story? Jon Ferrara is a big fan of building team members’ personal brands and networks to scale sales. An ambitious (yet attainable) timeline. What do you want to achieve this week? This quarter? Next year? Break your timeline out in a way that makes sense for your business model. A high-level competitor analysis. Become familiar with the competitive landscape and garner knowledge from studying key players within your industry. Learn their strengths and weaknesses (as well as your own) to help solidify your own sales plan. Develop a projected month-to-month sales forecast to get you through at least one year (preferably two or three). For brand new businesses with no historical data to shape a forecast from, look at established products or services from a competitor to get a grip on potential sales. The best sales business plan examples tend to follow the same structure across the board. When drafting your plan, it’s important to get granular; small details can add up. Objectives – What are you doing? Customer Focus – Who are you selling to? Strategies and Tactics – How are you going to talk to them, and through what medium? Tools and Systems- How will you stay organized and optimize your internal processes? Metrics – What KPIs will you be measuring? Team – Who will you be calling on to help you achieve your goals? Budget – How much are you capable of investing in certain aspects of your company? With these specific bases covered within your sales business plan, your new endeavor will be off to a sturdy, well-focused start. In order to illustrate an effective strategy in a sea of business plan for sales examples, we would like to share the sales business plan that set Nimble on the road to success. During the years of 2008-2010, the future of social media and its role in marketing wasn’t entirely clear. The industry had yet to work out the kinks and gaps between social networks, enterprise systems, and personal productivity tools such as inboxes and calendars. The introduction of CRMs created a single system of contact records and communications history, but most were too cumbersome to use. Jon saw the opportunity to turn the CRM industry on its head with a revolutionary product. Objectives– To provide a single, socially enriched system of record that helps businesses and small business teams cultivate relationships at scale. Customer Focus– Small business teams working primarily in small businesses of up to 30 people. Strategies and Tactics– Nimble’s primary sales strategy is Guerilla PR and building relationships with social influencers, industry analysts, press and channel partners in and around the areas of Nimble’s brand promise. With channel partners, in particular, we focus on empowering and incentivizing partners to resell Nimble as part of a solution-focused cloud migration. We use Nimble for outbound prospecting; templated, trackable 1:1 messaging, delivered at scale; and for sales funnel management. 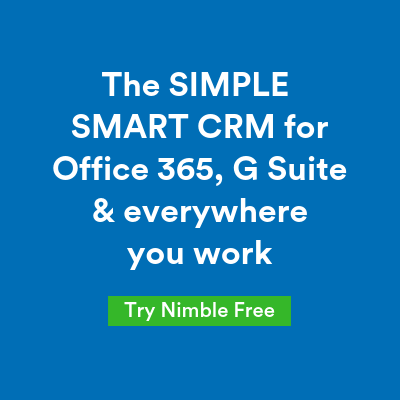 Nimble is integrated with Outlook 365, G Suite, and 366 degrees marketing for easy access and a light-weight, end-to-end sales and marketing solution. Intercom is our go-to system customer support. With this outline in mind, Nimble has become a key player in a well-funded and heavily saturated market. The business world can be treacherous and uncertain. Oftentimes, even the best ideas can fall flat without a solid framework to map out the path to success. In order to avoid having your newly established business tank in a highly competitive market during its first year, develop a solid business sales plan right off the bat. As discussed, a business plan for sales sheds light on your new business’ strengths and weaknesses, gives direction to your marketing strategy and pinpoints your target market, outlines your short-term and long-term goals, identifies potential roadblocks that may come up along the way, and digs into the small details of planning a professional endeavor that tends to creep up on people. Set yourself up for success and give yourself as much of an advantage as possible by mapping out where you want to go and how to get there right from the start. If you’re looking for a customer relationship management CRM system to help you build your new business try Nimble’s 14-day free trial.